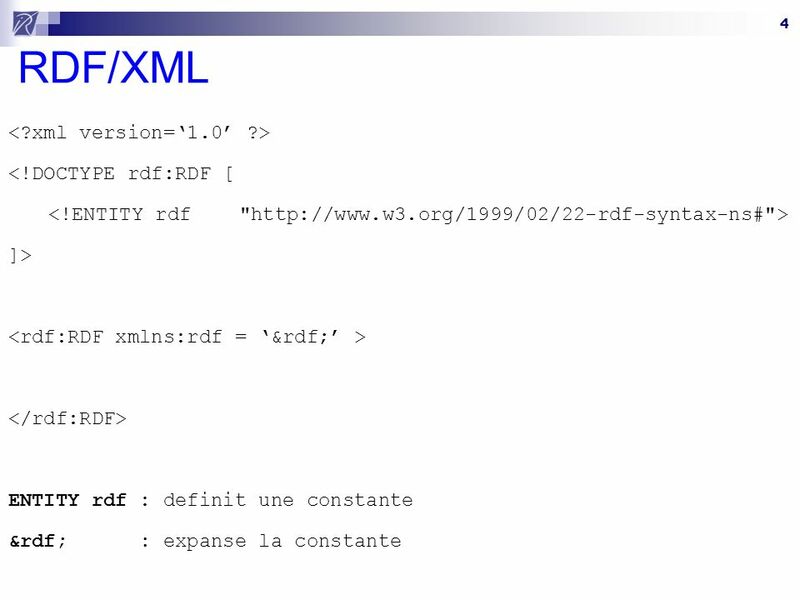 XML/RDF 2 RDF/XML Resource Description Framework Resource Property Value c:semanticweb c:author c:corby Syntaxe XML. 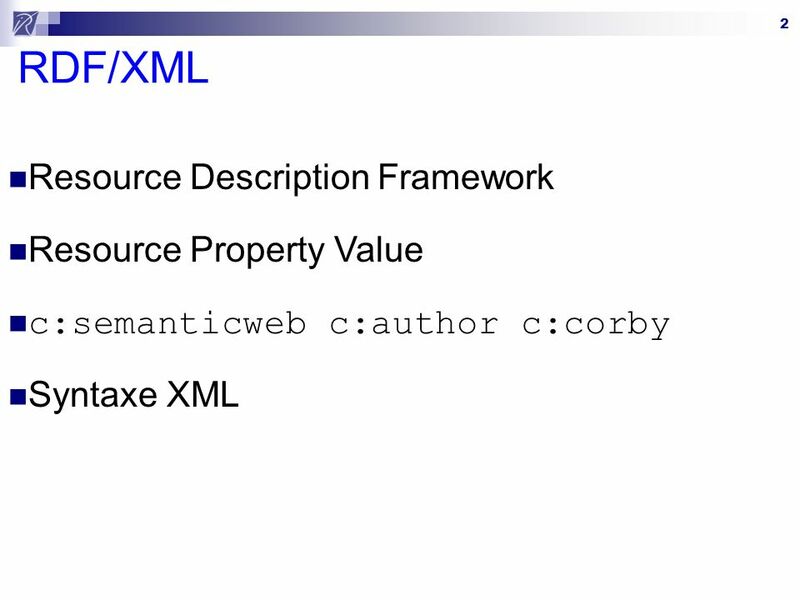 Download ppt "XML/RDF 2 RDF/XML Resource Description Framework Resource Property Value c:semanticweb c:author c:corby Syntaxe XML." SWOG - Semantic Web Ontology Generator Masters Defense of Dackral Scott Phillips Committee Members: Juan E. Gilbert, Ph. D. T. Dean Hendrix, Ph. D. N.
Natural Language Systems, Department of Informatics, University of Hamburg NATS IR in WWW Dozentin: C. Vertan Autor: M. Hoffmann RDF Resource Description. Copyright © 2003 Pearson Education, Inc. Slide 5-1 Created by Cheryl M. Hughes, Harvard University Extension School Cambridge, MA The Web Wizards Guide. A Gentle Introduction to DDI - What's in it for me? Jim Jacobs University of California, San Diego Wendy Thomas University of Minnesota. 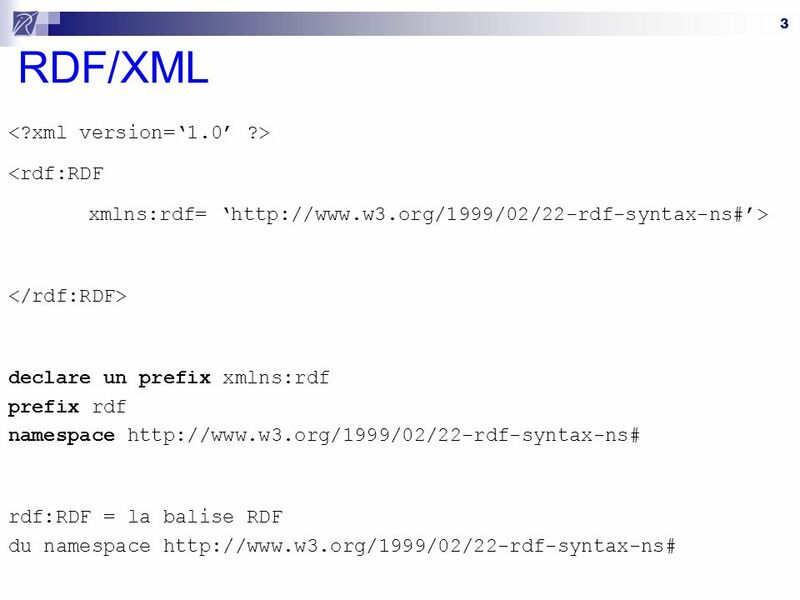 RDF: The Resource Description Framework Machine Understandable Metadata for the Web Ralph R. Swick W3C/MIT 2-November-1998. DC Architecture WG meeting Monday Sept 12 Slot 1: Slot 2: Location: Seminar Room 4.1.E01. 1 © NOKIA 2/12/ Ora Lassila I Was There… – Memoirs of an RDF Working Group Member or Observations about the RDF Design Rationale Ora Lassila Research. 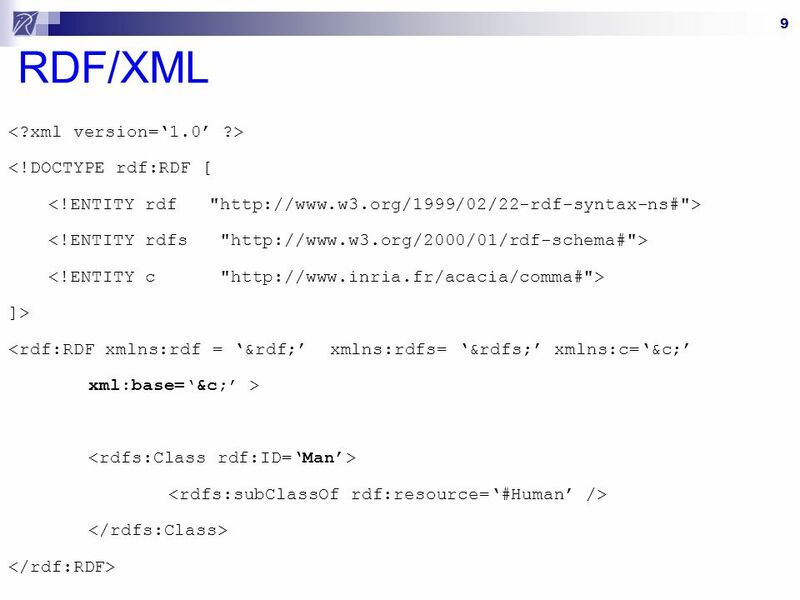 Transforming XML XMLNamespaces, XSLT. 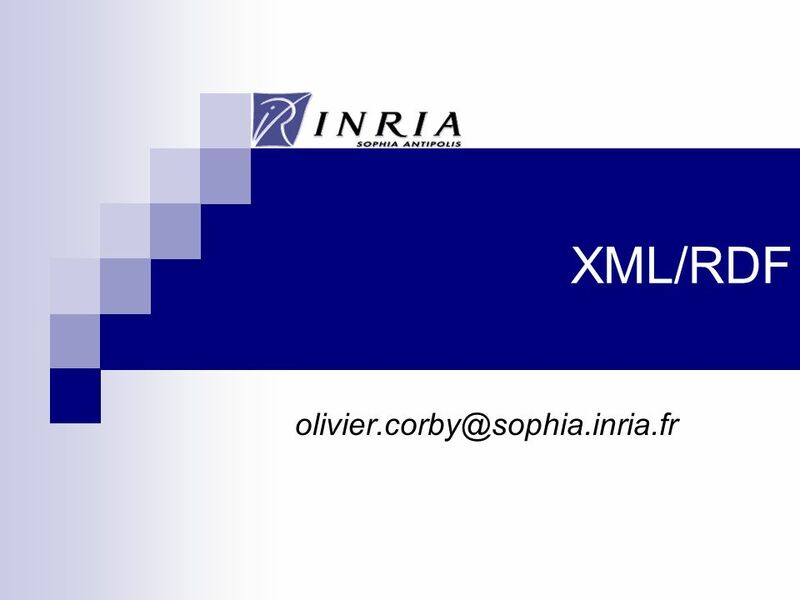 XML Namespaces Sometimes it is necessary to mix XML elements –Different types of content –Use of markup to convey. Semantic Web based Collaborative Knowledge Management LSL, ECS Feng (Barry) Tao A generic SOA for managing semantics driven domain knowledge. 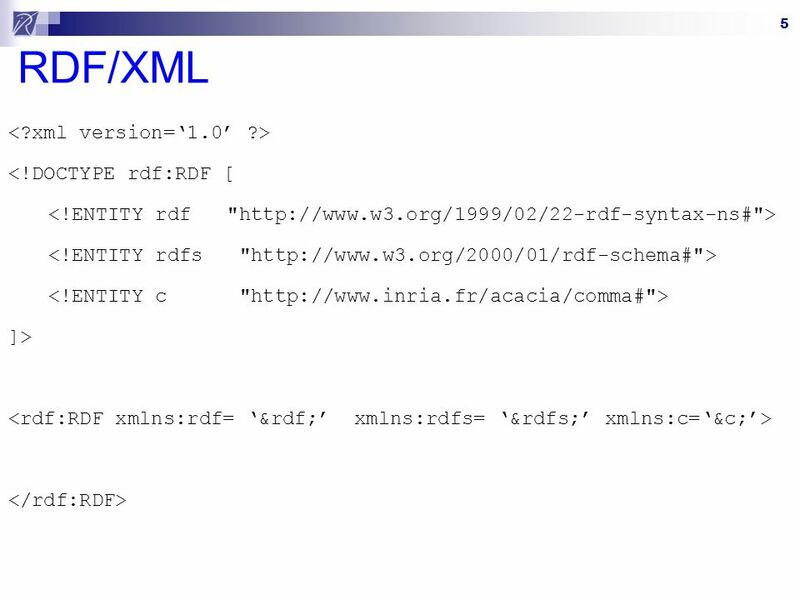 1 © NOKIA 10/12/2014 - Ora Lassila RDF: A Frame System for the Web Ora Lassila (with help from Henry S. Thompson) Agent Technology Group Nokia Research.